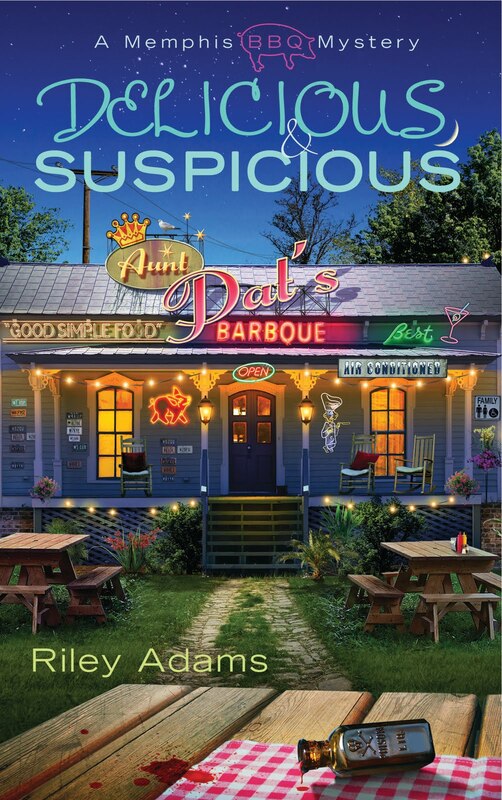 Riley Adams, Delicious and Suspicious, a Memphis BBQ mystery. Riley Adams is a pen-name for Elizabeth Spann Craig, my American blog friend who wrote a post about cozy mysteries for me recently. Elizabeth, I couldn´t help it. Your book screams ´read me, read me´. And I have such a good excuse: if I want to write cosies, I´d better read some more of them. The book doesn´t even cost very much – did you hear that you people out there? NB: my husband and I are going off for a few days in our cottage, just the two of us, so I had better not promise you a lot of posts the next days. This entry was posted in American, Elizabeth Spann Craig. Bookmark the permalink.